Brad has always had a passion for music and event production. He played keyboards in a band throughout high school, and also started a mobile DJ company, performing for school dances at the age of 15. DJ'ing helped pay for his "gear habit" and the rest is history. Living and breathing event production for 25+ years, he is able to handle just about any situation, and can stay cool under pressure. He provides solutions no matter the problem, and has a reputation of exceeding client expectations. Pro Systems is a successful, reliable company, in great part to Brad's reputation in the industry. 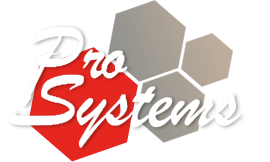 Pro Systems continues to grow while maintaining his high standard of customer service.